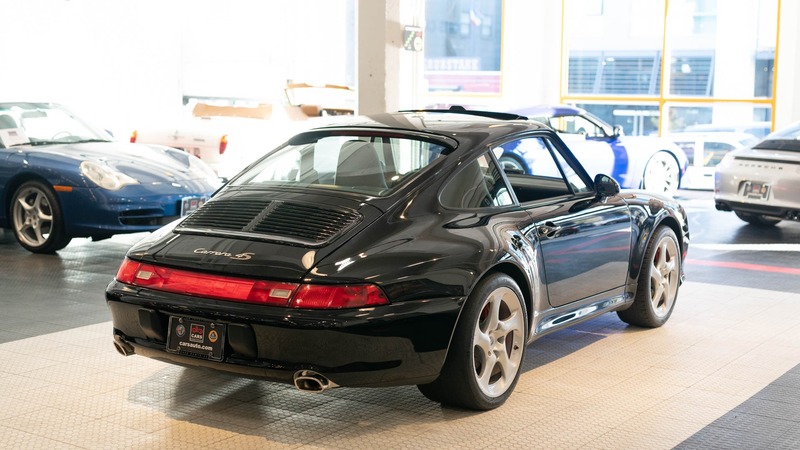 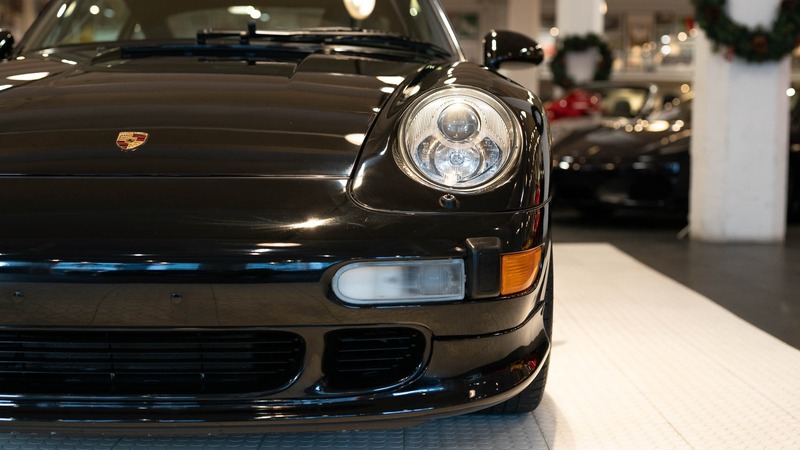 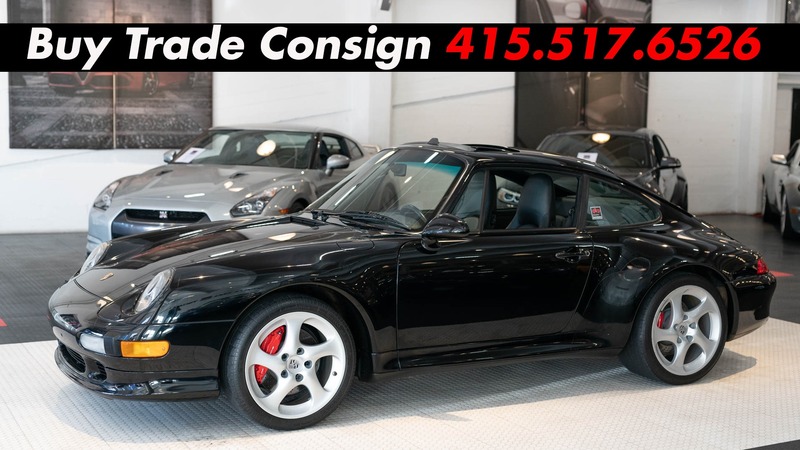 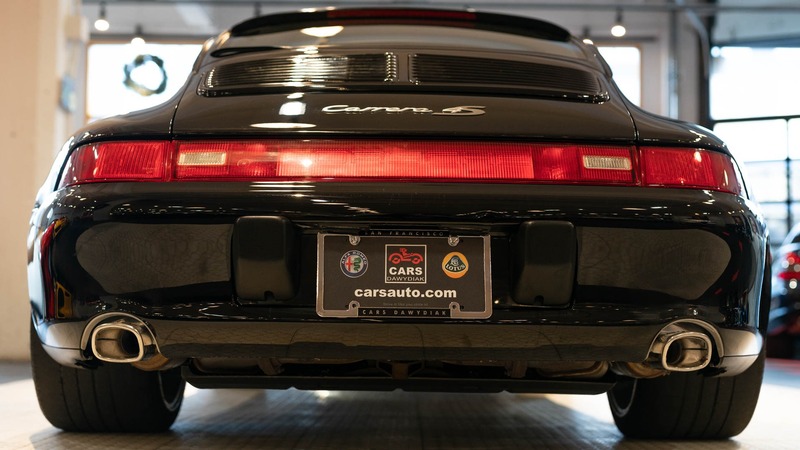 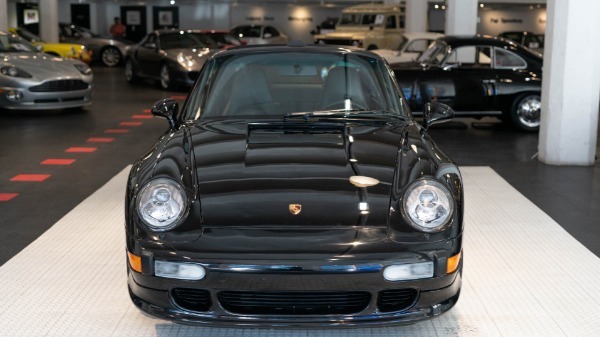 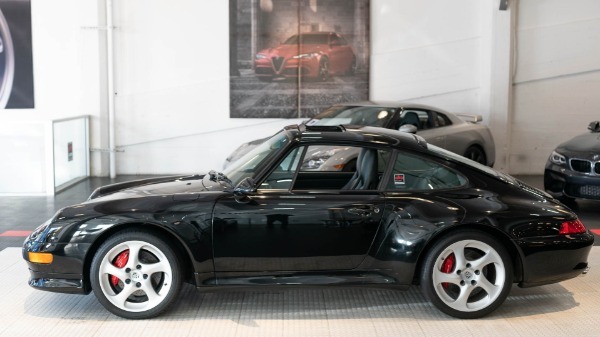 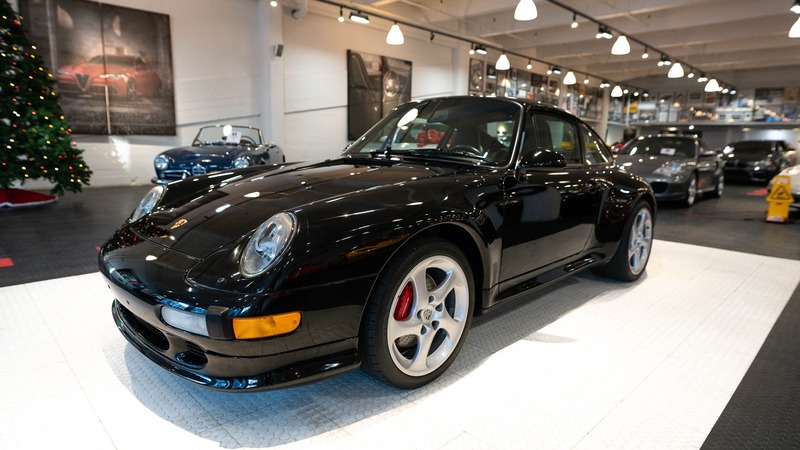 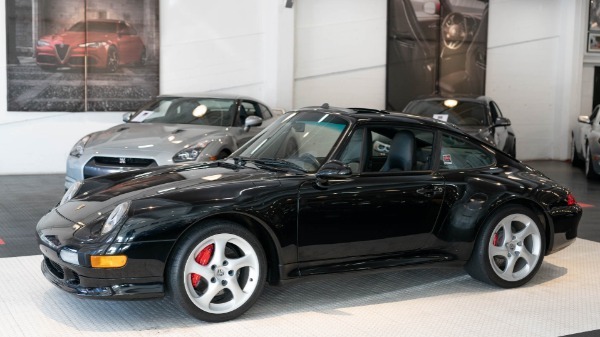 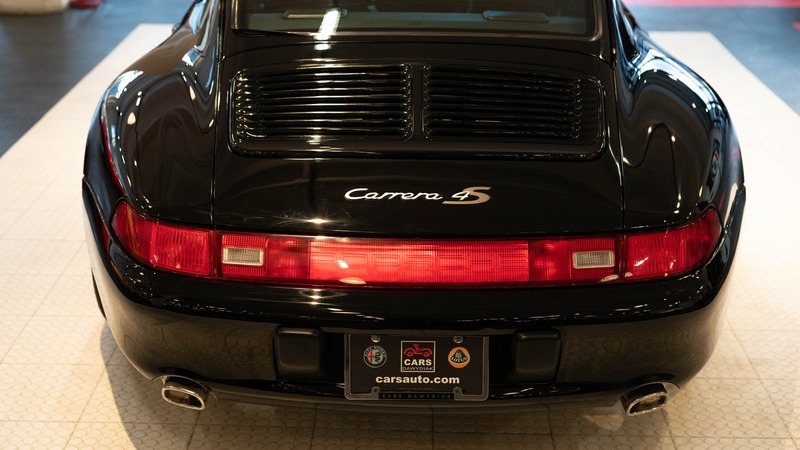 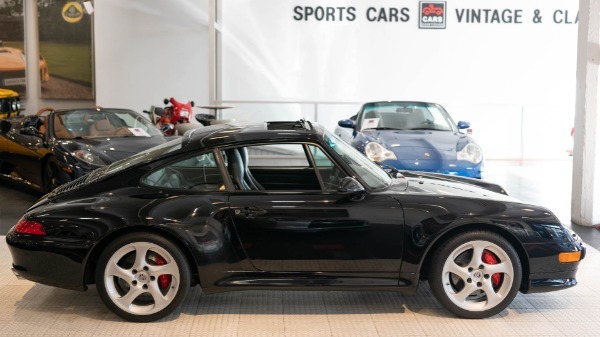 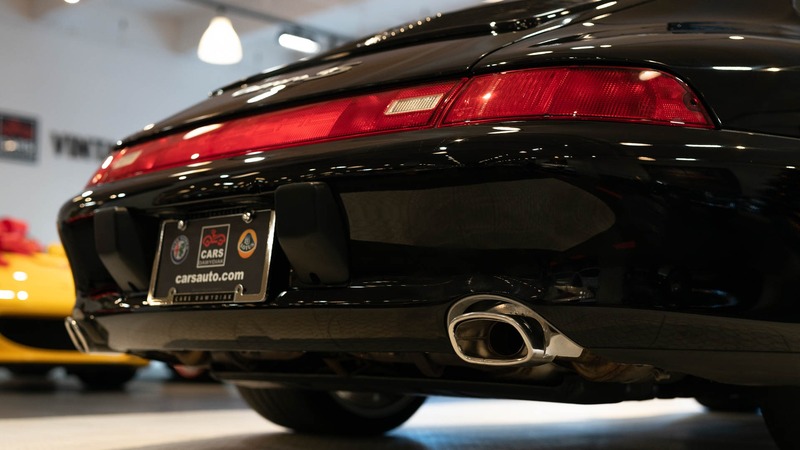 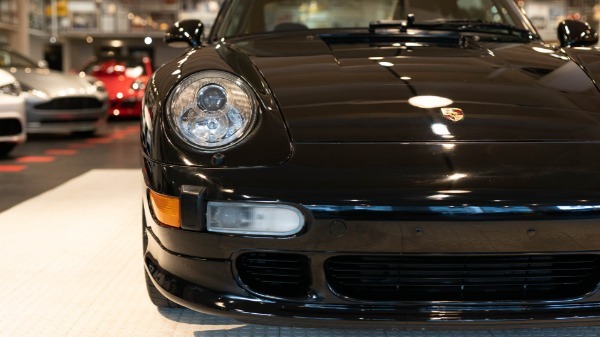 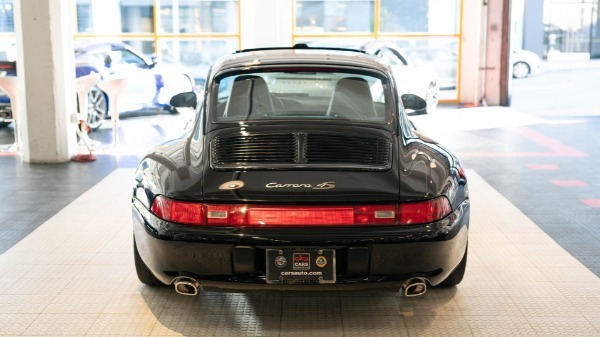 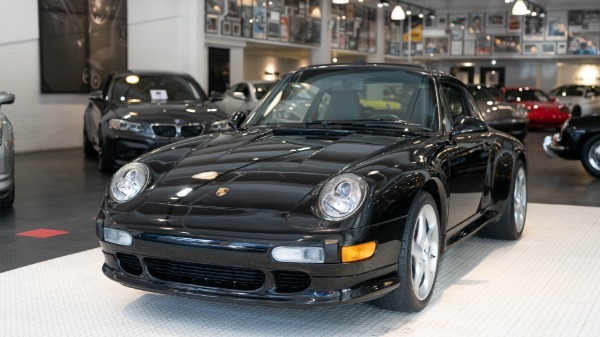 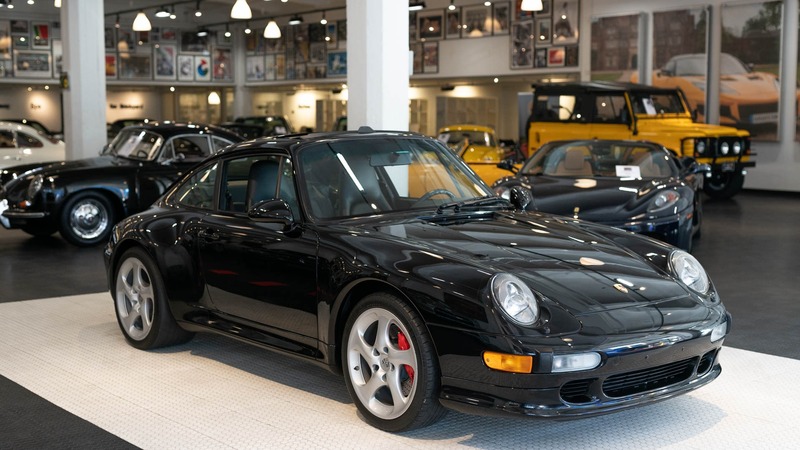 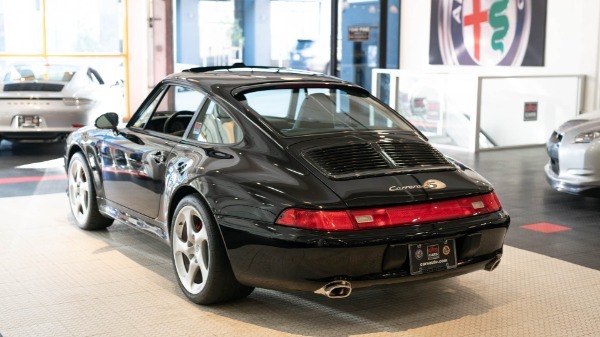 Presenting a Northern California Native 3 owner 993 Widebody with only 39k original miles and service records dating back to 2005. 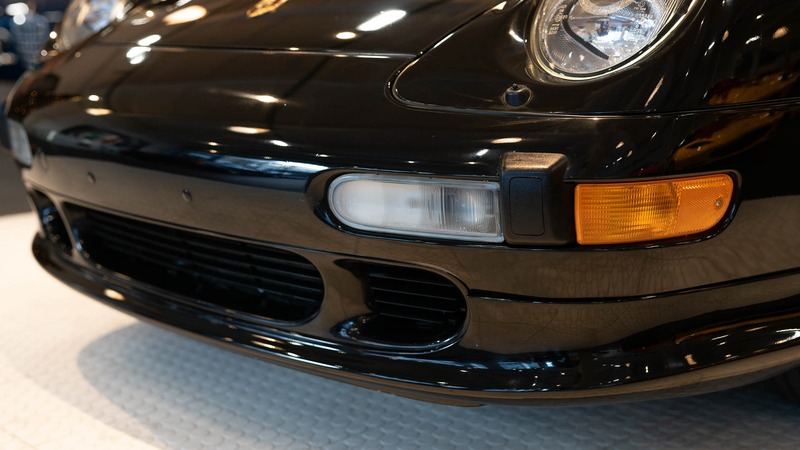 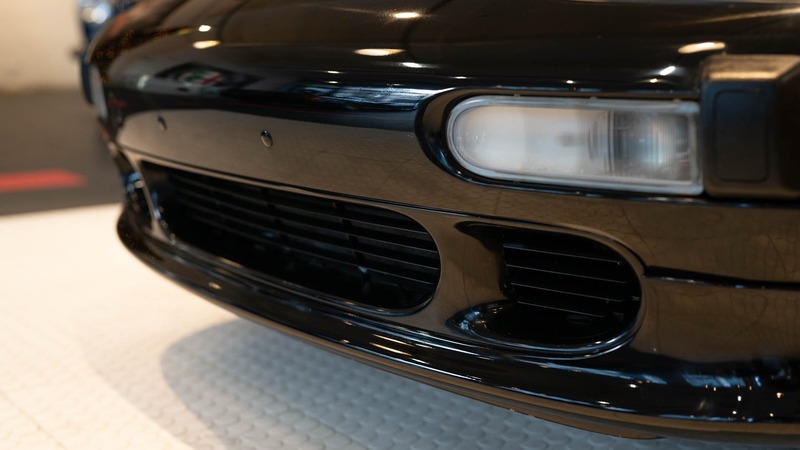 Finished in the desirable Black on Black color configuration, the exterior paint presents well with some minor road blemishes on the nose (above the clear bra) consistent with the mileage.All factory sheetmetal is present and the undercarriage is spotless with no evidence of corrosion or winter driving. 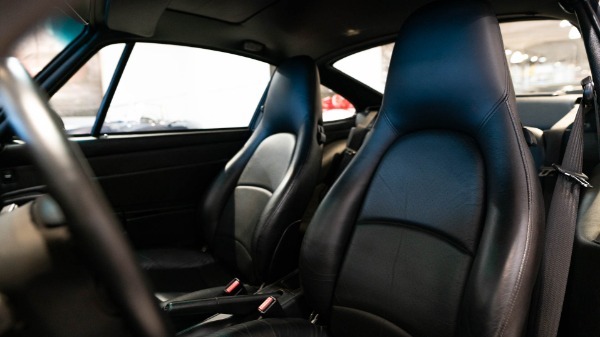 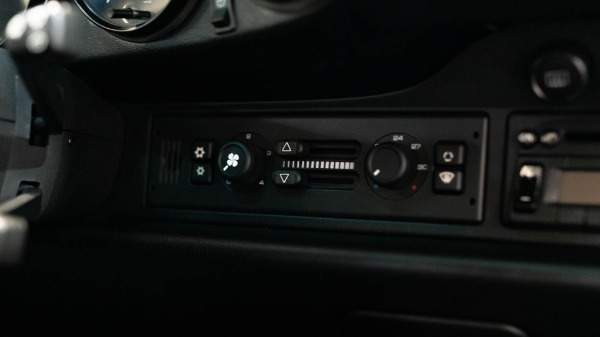 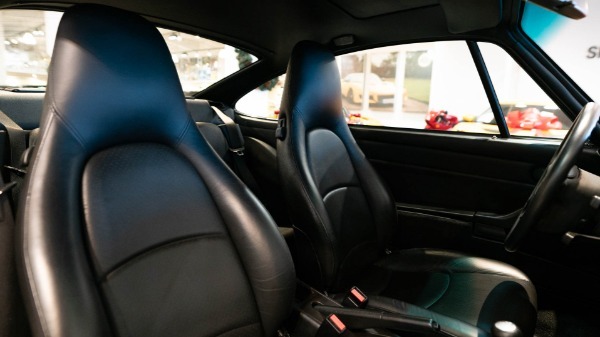 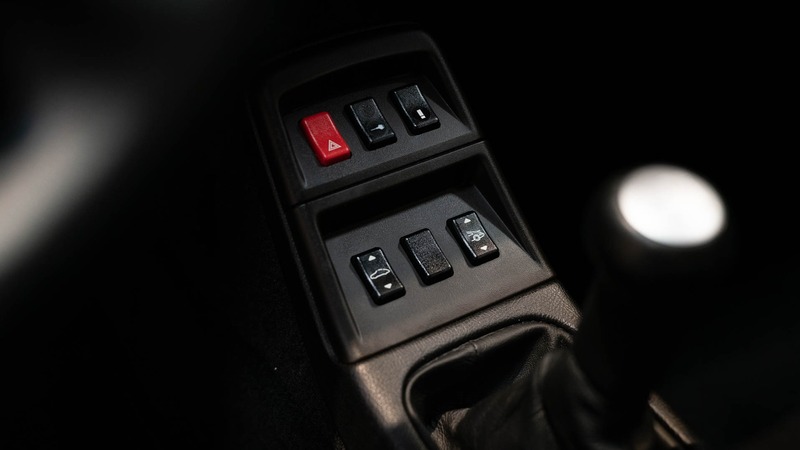 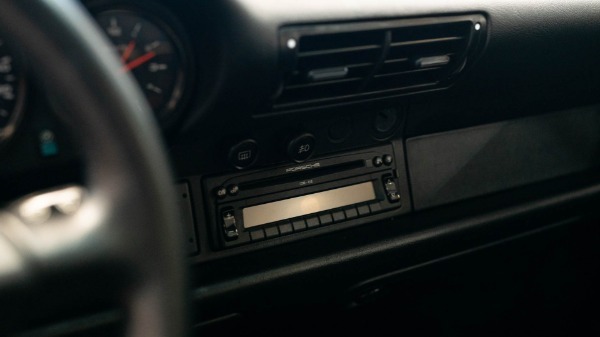 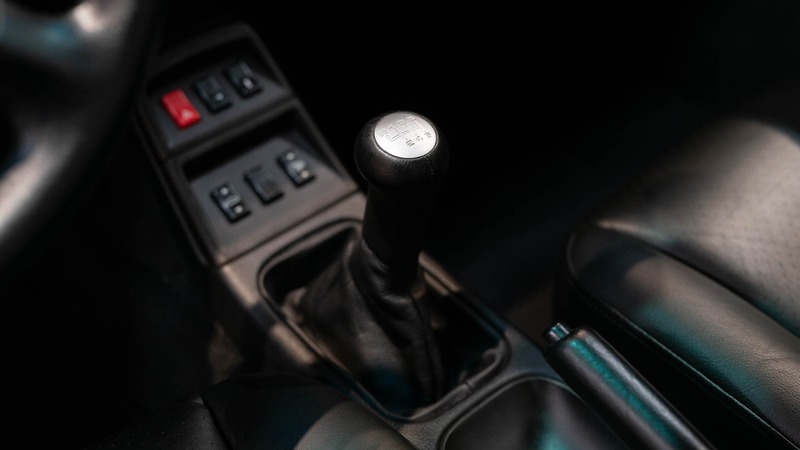 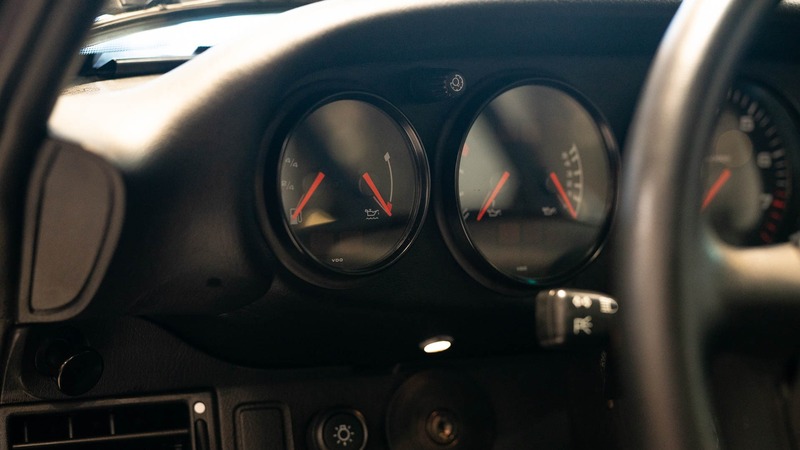 The interior is original all the way down to the OEM factory Blaupunkt stereo and shows no sign of sun damage, leather shrinkage or abnormal use. 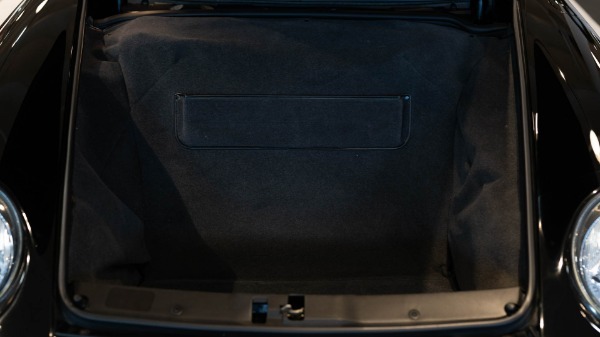 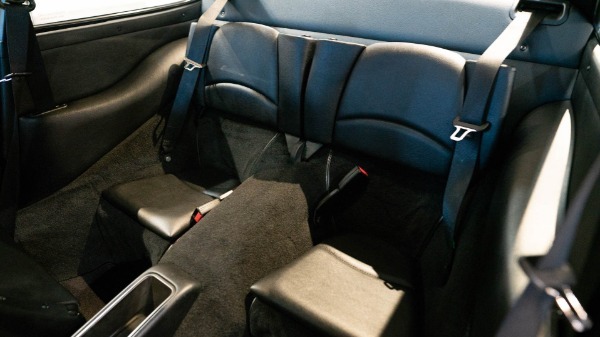 The seat bolsters show no abnormal or excessive wear and the carpets are as they came from the factory. 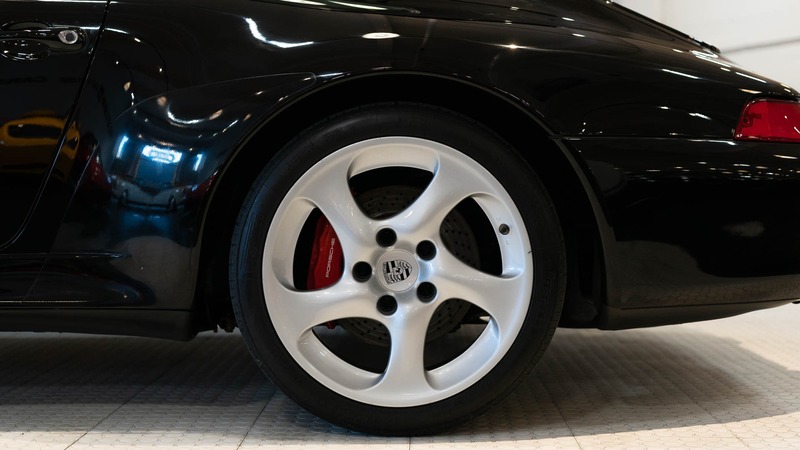 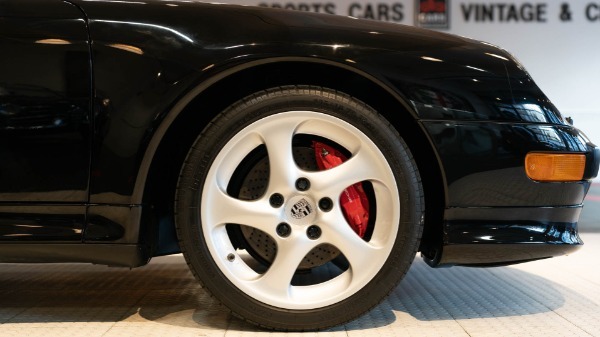 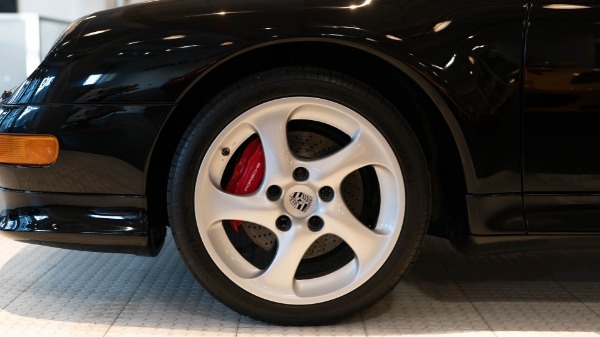 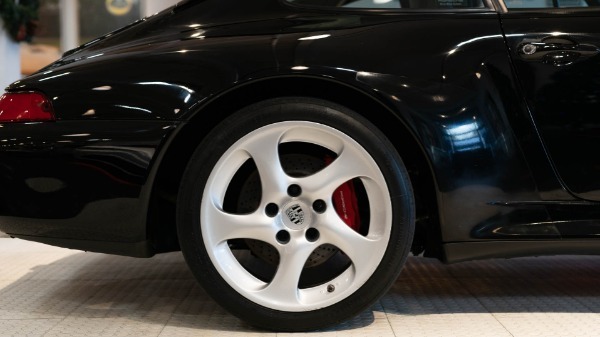 This Nine-Eleven is a mostly stock example with the exception of the addition of 996 Turbo wheels added by the previous ownerin the early 2000's as well as a clear bra to protect the nose. 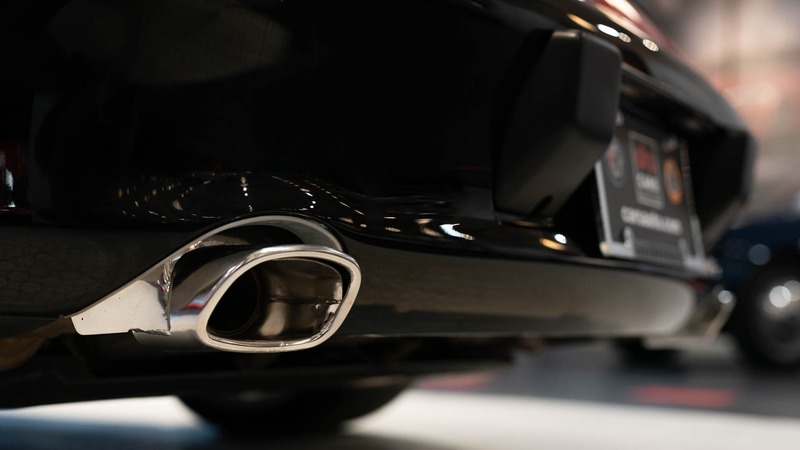 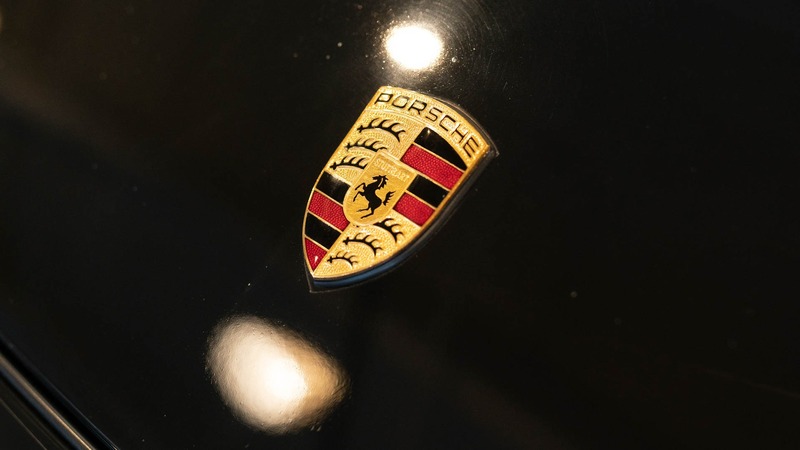 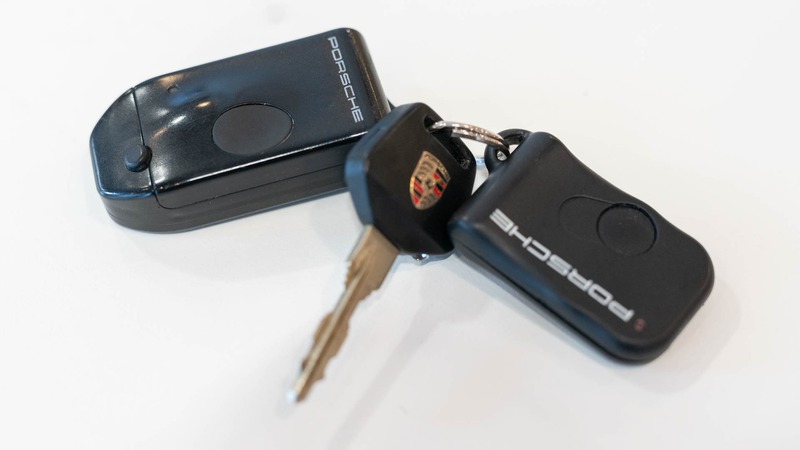 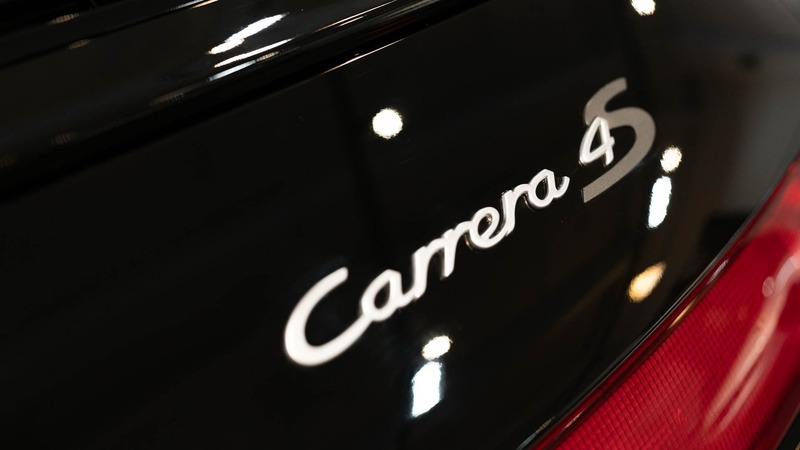 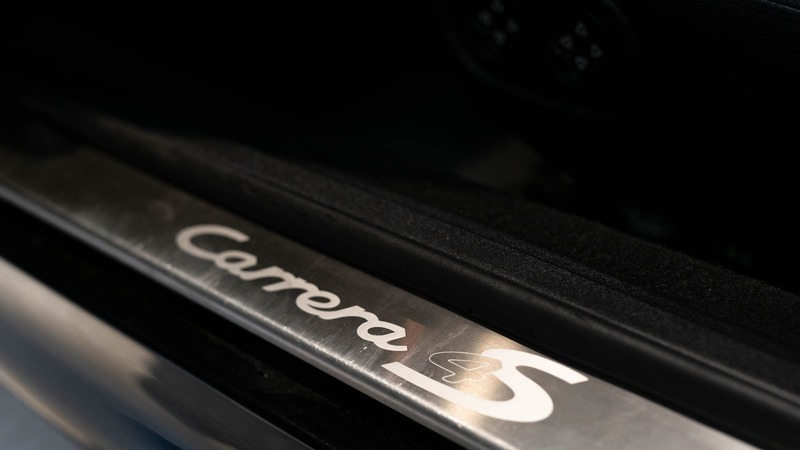 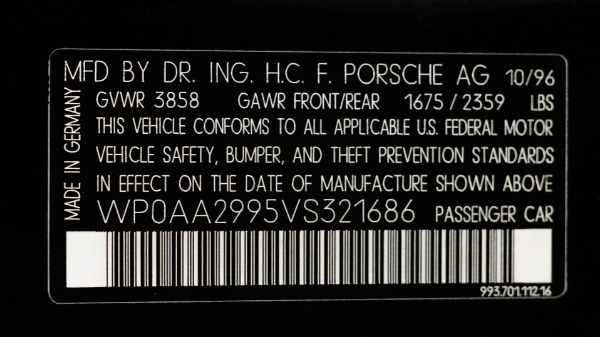 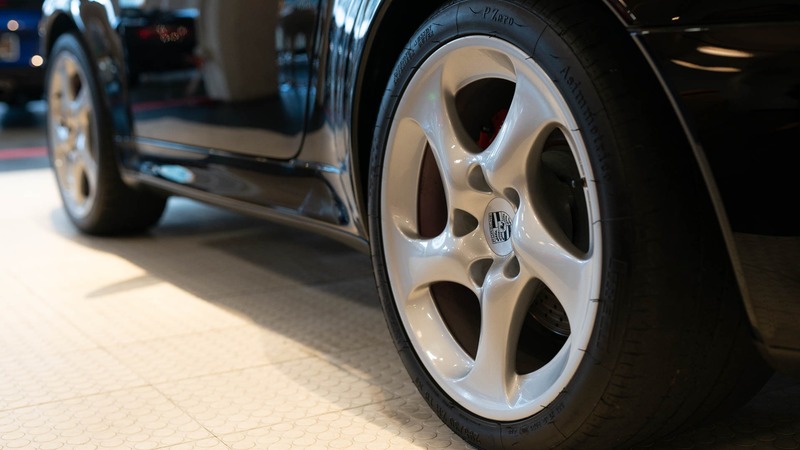 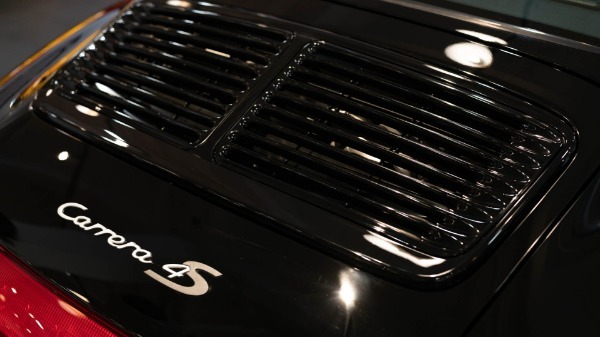 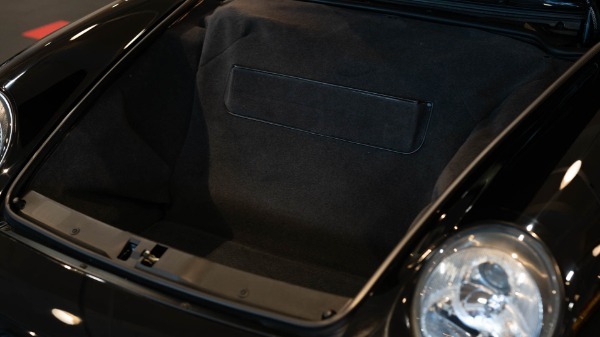 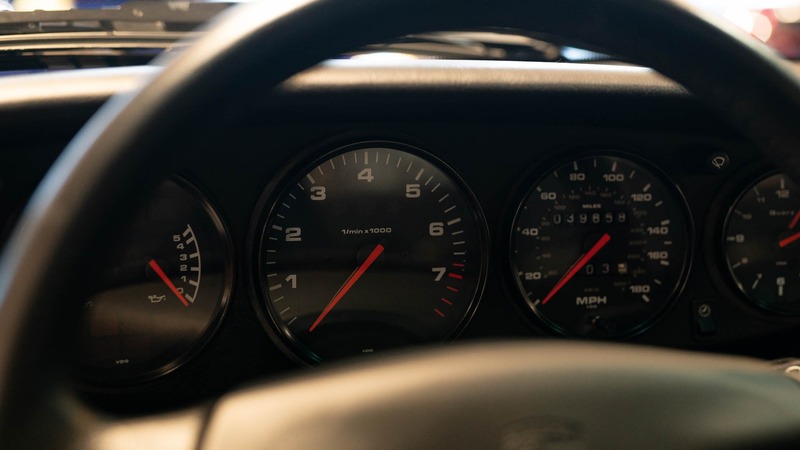 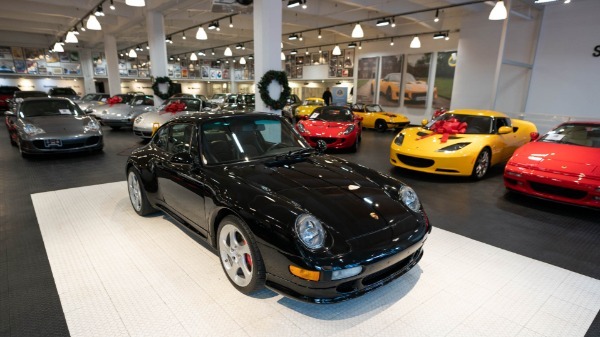 Records indicate that all services were performed by authorised Porsche dealers for the past decade or more. 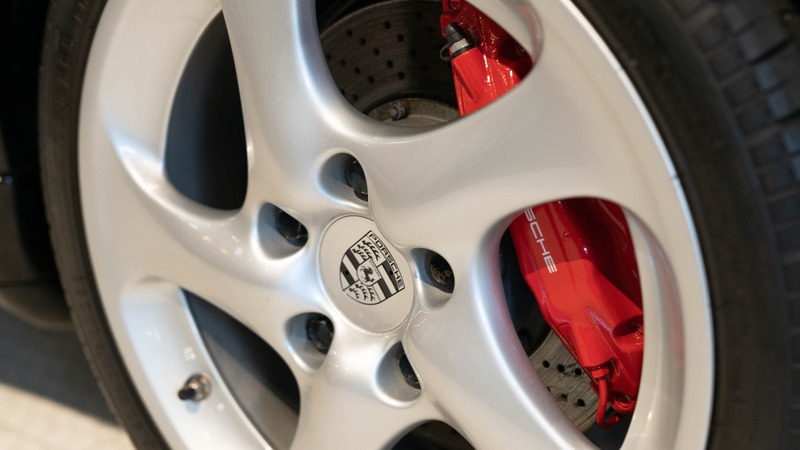 Seller has also agreed to replace 4 tires to OEM spec upon purchase. 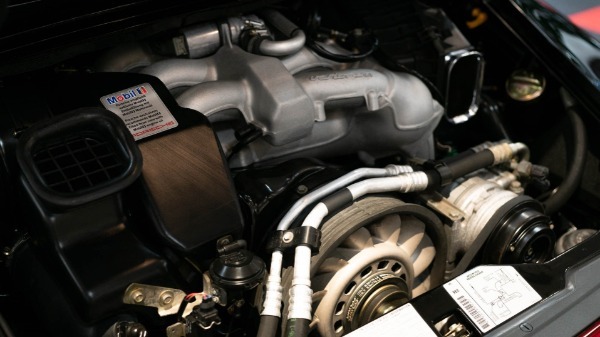 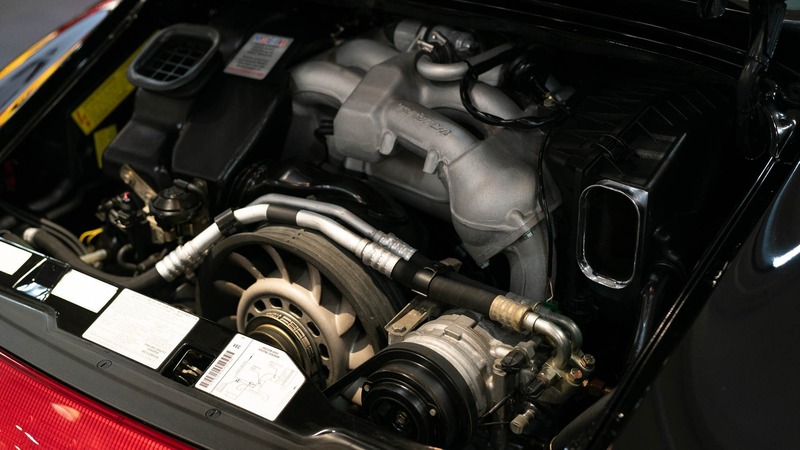 Recent services include Spark Plugs at 29k miles as well as the updated belt tensioners at the same mileage. 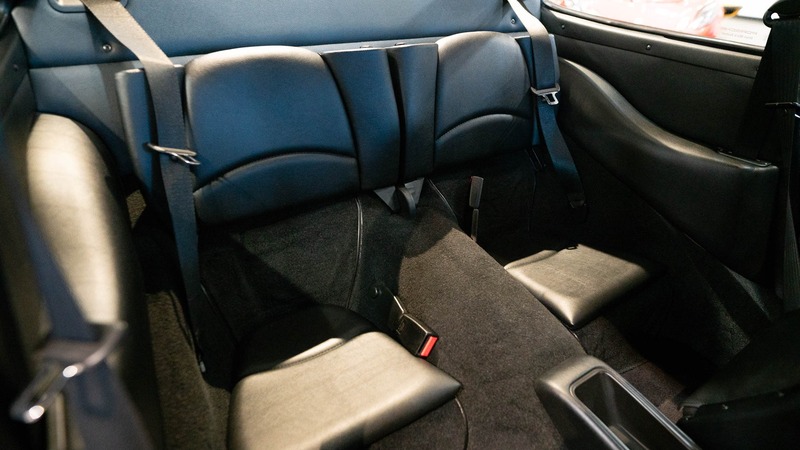 Options include: AM/FM Radio with CD Player, Power Seat Package, Motor Sound Package, and Aluminum Door Sills with Insignia. 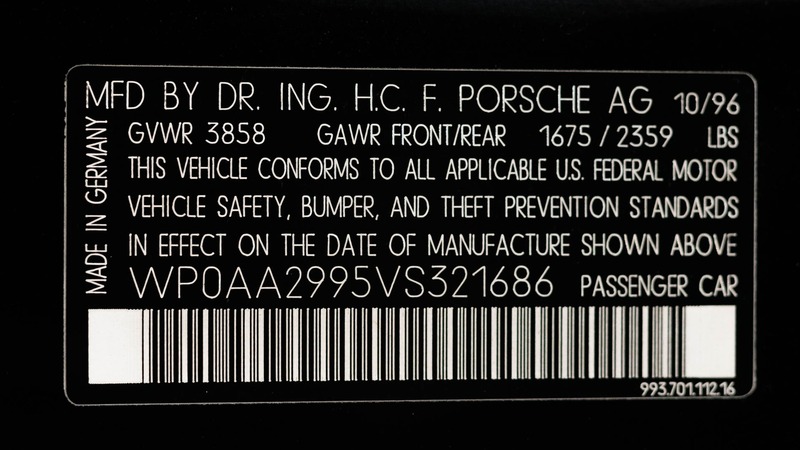 All books and manuals are present as are two master keys and the original Window Sticker that shows a factory delivered MSRP of $76,958. 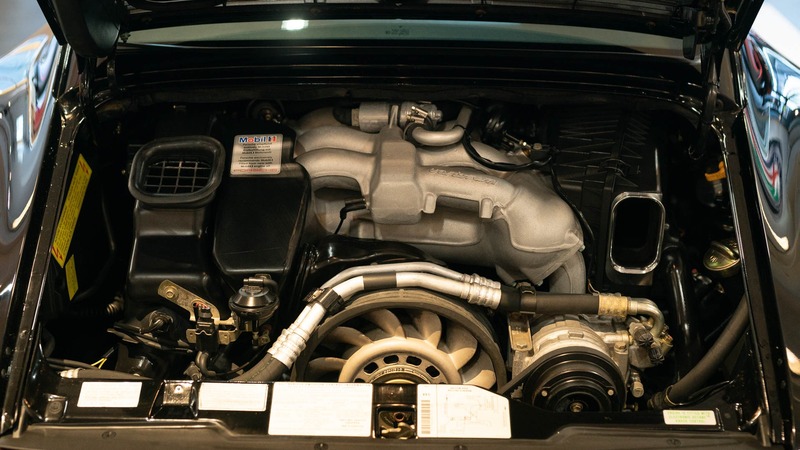 Furthermore, the Engine and Gearbox have been verified as original to the vehicle.